A volunteer group has submitted a document to Anurag Thakur-headed panel alleging that the social media giants are biased against Right-wing accounts. New Delhi: Escalating their protests against Twitter and Facebook, the BJP’s social media volunteers have written to the Parlimentary Committee on Information Technology, asking for a hearing. The volunteers allege that the social media giants are biased against Right-wing accounts, and submitted a document corroborating their claim to the committee’s chair, BJP MP Anurag Thakur, on 26 January. Ankit Jain, leader of a volunteer group called Youth for Social Media Democracy, spoke about the document during Sunday’s protest in front of Twitter’s India office. Vikas Pandey, a volunteer who worked on the BJP’s social media campaign in 2014, added that it is important to hold social media platforms accountable for alleged biases because “…instances of such strong political biases during an election year are an attempt to influence India’s elections which violates the right to free and fair elections”. However, Divya Spandana, social media head of the Congress, denied any bias in her party’s favour. “They [BJP supporters] create fake news and then protest against Twitter for doing their job — bunch of losers,” she told ThePrint. ThePrint has emailed Facebook for a response, and will update this report when they respond. Calls and a text message to BJP MP Thakur did not elicit a response. The report will be updated when he does. 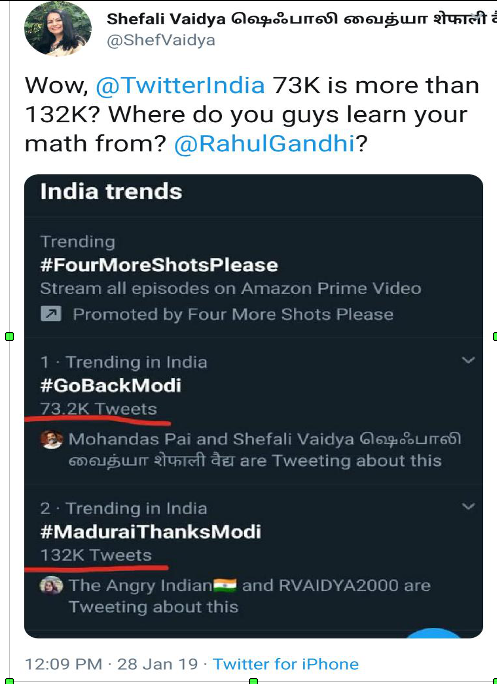 In one example of bias, the BJP volunteers say that Twitter ranks “LW [left wing] trends above RW [right wing] trends even when RW trends have more tweets”. BJP supporters have also raised concerns that Saudi Arabian forces, through billionaire Prince Alwaleed Bin Talal’s Twitter investments, are trying to the influence Indian elections by giving about Rs 3 crore to alternative news genre sites like AltNews, whose founder Pratik Sinha called the claims “ridiculous”. Citing such examples, the volunteers want the government of India to hold a hearing of Facebook and Twitter, similar to those held by lawmakers in the US and Singapore, to question how these platforms impact elections and voter decisions. Sources close to Twitter denied the allegation too. Facebook, Twitter and WhatsApp have become crucial tools in communicating election agendas to constituents. During the 2014 general elections, social media gave BJP a definitive edge in communicating its message to the masses, helping Narendra Modi become PM. 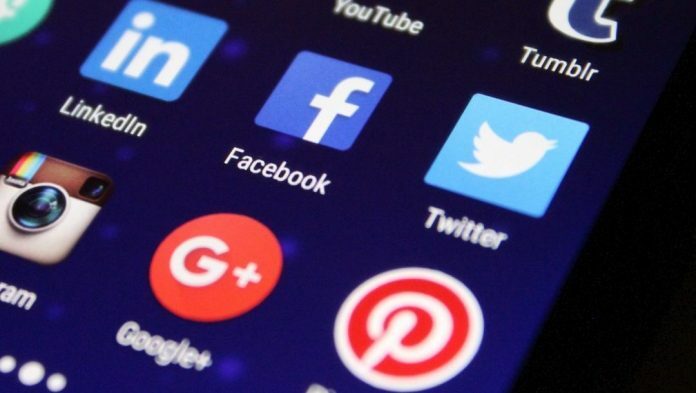 With this year’s Lok Sabha polls just around the corner, the BJP volunteers are concerned that the social media strategy may not be as effective if their most followed colleagues are not able to engage with voters due to blocks set up by the social media platform itself. Amit Malviya, head of the BJP’s IT cell, has dubbed the upcoming Lok Sabha elections the “WhatsApp elections”. However, a November 2018 BBC study indicated that BJP supporters are more likely to spread fake news than others. A January 2019 article in Time magazine stated that political parties and the BJP in particular “is fuelling this trend” of “false information and hateful rhetoric”. ‘The wire’ should be sued for bias against conservatism and conservative comments. Conservative comments are not published in comments section.